Direct Agent Access (DAA) is now a legacy feature. 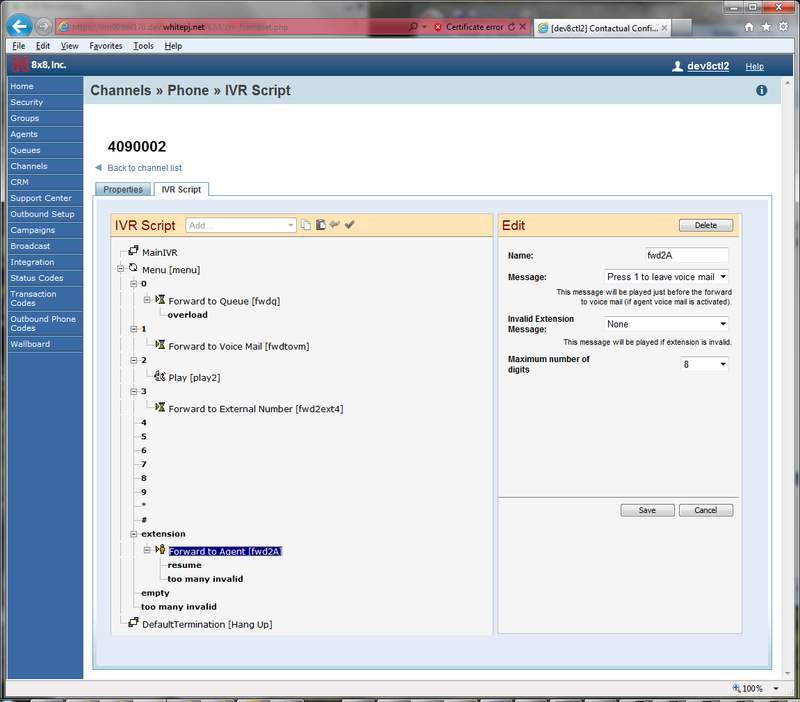 It gives callers the option of directly reaching an agent in the VCC environment by dialing the agent’s DAA number in an IVR menu. The DAA number is validated (that is checked if it exists and matches a particular agent for that tenant) and then the call is placed to the agent. If the agent is not reachable (that is the agent does not answer within the specified interaction timeout or rejects the call) then the call is directed to the agent’s Virtual Contact Center voicemail. Agents must be assigned DAA numbers that are unique within the tenant. The assigned DAA numbers are not related to any other set of numbers. DAA numbers may be assigned to mimic numbers used by other systems.